Custom trend with the 14" line? Thread: Custom trend with the 14" line? Sorry if this is already a thread. 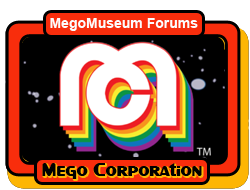 I am very interested in the Mego customizing folks moving over to the 14" line anything posted yet? I imagine mold making for the heads would be easier? Upside - the scale is easier for sewing. Downside, very little repro stuff available. I have not found the mold making to be easier. It's definitely more expensive tho. I'm interested to see if anyone attempts customs of 14 inch guys that are naturally taller than average figures, IE: a Non that's taller than Zod would go nice together and the Zod suit would work. I've been trying to think of a head that looks like Jack O'Halloran that'd work. ... I've been trying to think of a head that looks like Jack O'Halloran that'd work. There are some interesting close-ups of Jack O'Halloran's features via a Google Images search. He certainly has distinctive facial details, especially studying pics of him without the overdyed black Non hair and beard. I have plans to make giant figures using 14" bodies so they can be displayed with 8" superheroes, such as Giant Man, Galactus and a Sentinel (from X-Men). I think 3d printing the heads may look better since the feature size is bigger. I look forward to seeing that! If you can 3D print a head there is one I'd like to talk to you about. Since Zod is not the movie or comic book version you can make it out of whatever head you can think of. I like the posted custom Poison Ivy into Giganta, that really worked out great. It is possible to use Superman for a base to make Apache Chief.